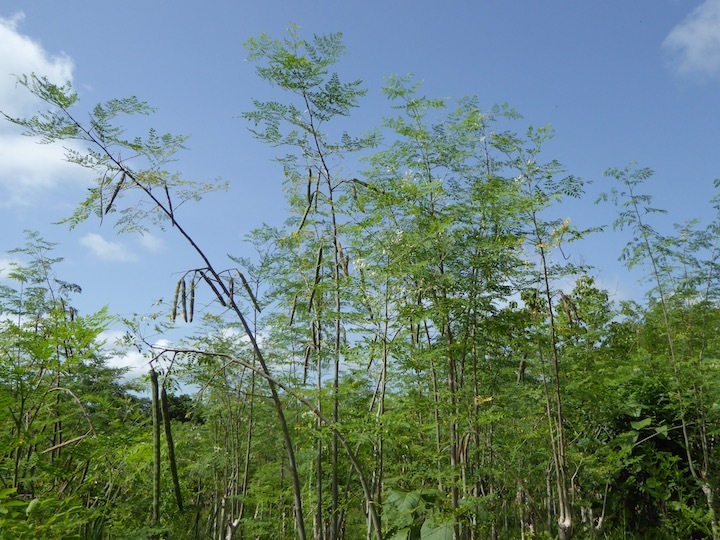 What are the parts of a moringa tree and their benefits? Although if intensely cultivated moringa can resemble a bush, under normal circumstances, moringa is one very miraculous, beautiful tree! It is native to India but is widely used in developing nations, including my current home of Benin, West Africa. Although Kuli Kuli focuses on the most nutrient dense part of the tree, the leaves, every single part of the tree from the seeds, roots, trunk, flowers, and leaves, has nutritional, medicinal and technical benefits. 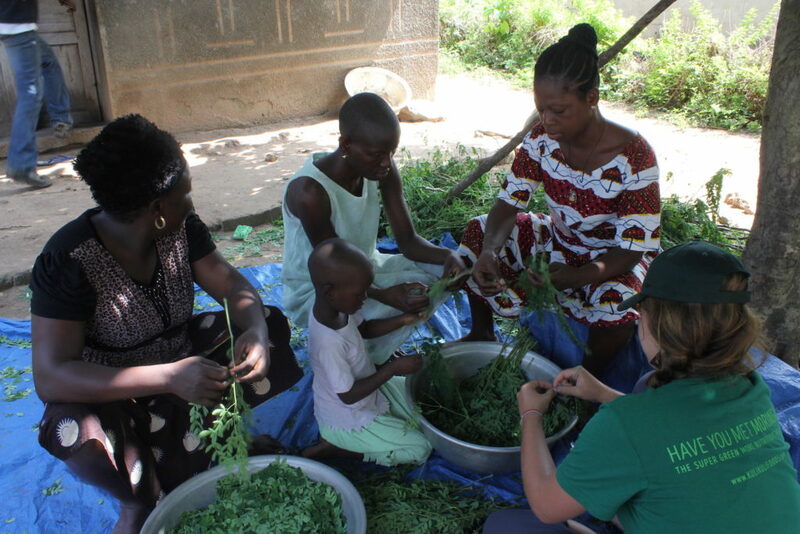 When asked by Beninese what a “yovo” (white person) like myself is doing living here I tell them I am here to work with moringa. Majority of the people know what moringa is and about half of those who do will proceed to tell me how they pop a seed every morning in order to lose weight, cure their malaria or give them magic powers (No joke, I have actually heard this one before.) There are some obvious misconceptions floating around in regards to the seed. Moringa is widely known in India as the drumstick tree due to the common practice of harvesting the long seed pods before they are fully developed and preparing them similar to as you could with green beans. 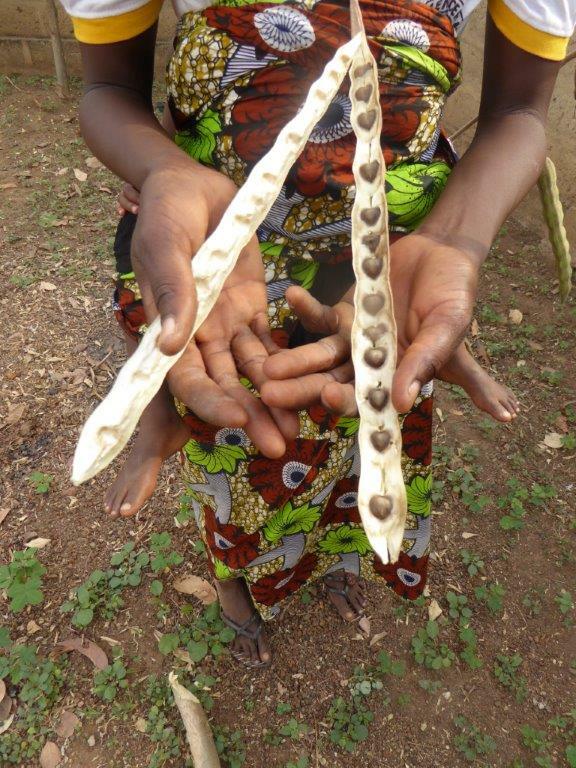 The seeds, once developed, can be dried and planted or eaten as is, as is the case in Benin. Although eating a seed every morning will not give you superpowers (I tried), it does have similar benefits to eating the leaves. The roots of the moringa tree have been used for their therapeutic properties dating as far back as the early Roman, Greek and Egyptian times. Although the roots actually have the highest nutrient quantities than any other part of the tree, I do not advise digging up the roots and making a hearty stew quite yet. When consumed in large enough quantities the powerful toxins found in the root can paralyze the nervous system and cause death. That said, the threat of death does not stop people around the world from using it. Moringa roots are known for their antibiotic properties and are used to treat a variety of conditions such as asthma, digestive disorders, gastritis, inflammation and skin disorders. It is even used by women in the more rural parts of India as a form of permanent contraception. Similar to the roots, the bark of the moringa tree has antibiotic properties. It is used to treat everything from sexually transmitted diseases, gout, and even arthritis. Also similar to the roots, due to the high concentration of antibiotics, again, it can be dangerous if used inaccurately. 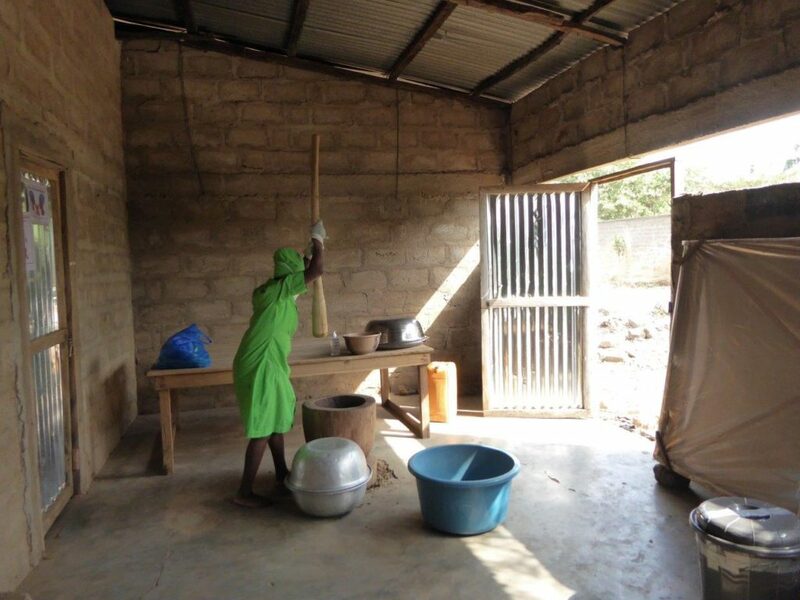 In Benin and in most countries where moringa grows, the bark is more commonly used as animal fodder and the trunk itself as fencing. In many parts around the world, moringa flowers are considered a delicacy. Some remark their taste similar mushrooms and can be used in salads or fried and eaten on their own. It is also common practice to drink moringa flower tea. In Haiti they say the tea helps cure the common cold. In the Ayurvedic practice, the moringa flowers either brewed into a strong medicinal tea or a pressed juice is used to treat urinary tract infections and as a supplement for breastfeeding women to increase lactation. The most user-friendly and nutritious part of the tree is the leaves. Not to be fooled by their small size, moringa leaves are incredibly powerful as a nutritional supplement. 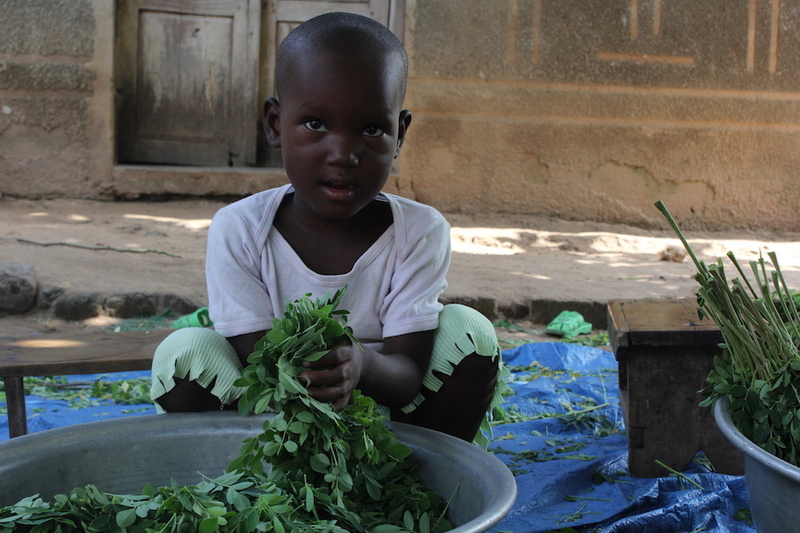 Beninese generally make the leaves into a vegetable sauce coupled with their staple starch, a corn flour based mashed potato-like substance called ‘pate’. 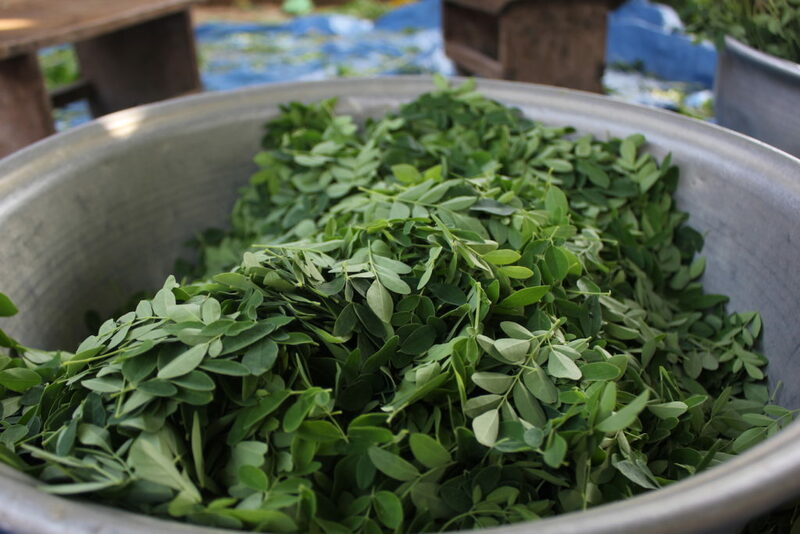 The protein in moringa is on par with more expensive alternatives such as meat, fish, and eggs—protein sources many Beninese don’t often include in their diets due to cost. 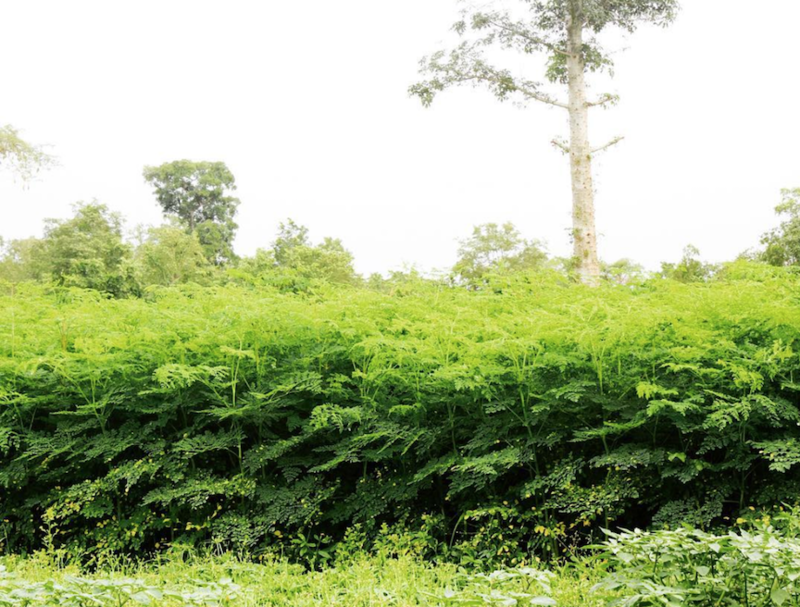 About thirty years ago when moringa was first introduced to Benin it was seen as the “poor man’s food”. Those in rural villages were quicker to include the leafy green in their diets because it grew year round and paying for vegetables was not always an option. Now that knowledge is spreading throughout the country the perception is shifting and people from all socioeconomic classes are starting to include either the fresh leaves or the powder in their diets. I do not lose hope, little by little, “petit à petit”, the world will know the power of moringa. Very nice info piece on moringa benefits, Julie! can you help me to do so. I want few seeds for this from you.Can you send me. 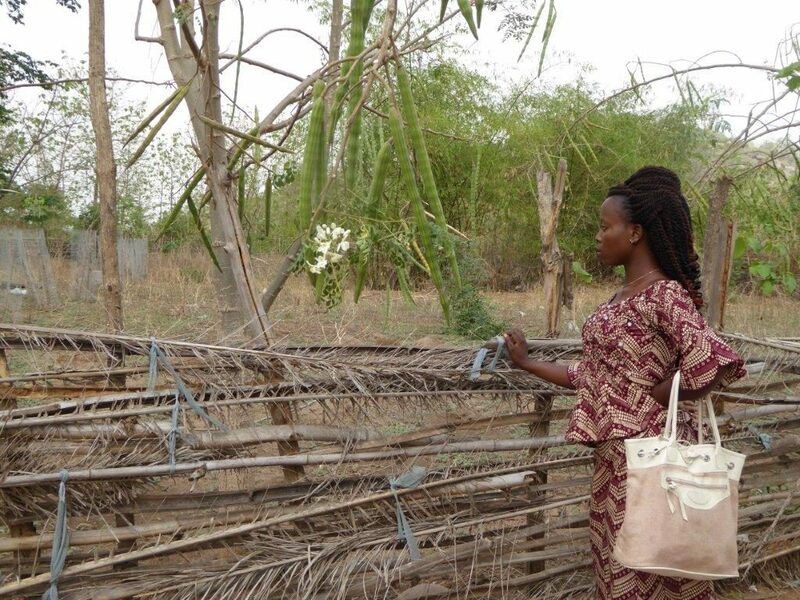 I have been growing Moringa trees for three years and harvesting seeds to eat and to grow more trees. My trees grow to 10 feet in one year and over 20 feet in two years. They bloom and produce seeds. Me and my staff were eaingt a stem of leaves every day. Now we are eating two seeds a day. I have been told I can cut them back to head high and grow them like a hedge which makes it easier to harvest the seed pods. I am eager to learn all I can and share this incredible plant with the world. I live on Ambergris Caye in Belize, Central America. Very much informative. I am from Pakistan and want to tell Mr. Syed Younus Ali that Morning in Pakistan and India is called “Sohanjna” or “Saijan” tree. It’s leave,seeds, drumsticks, branches and roots are used by people in both the countries from very old period for food and treatment of joint pain. However, it’s muraclious properties have come to knowledge in very recent days. I want to know the benefits of moringa pods / drumsticks. can we eat outer later of pods . it is very hard to digest I think. Hey Abdul! I would not recommend eating the outer layer of the pods. As you said, they are very difficult to digest and they do have nearly as many nutrients as the seeds or the leaves of the moringa tree.